So looking for that charming another little pair of chairs that will fill a nitch in the library, corners of the bedroom or perhaps a sitting room?... 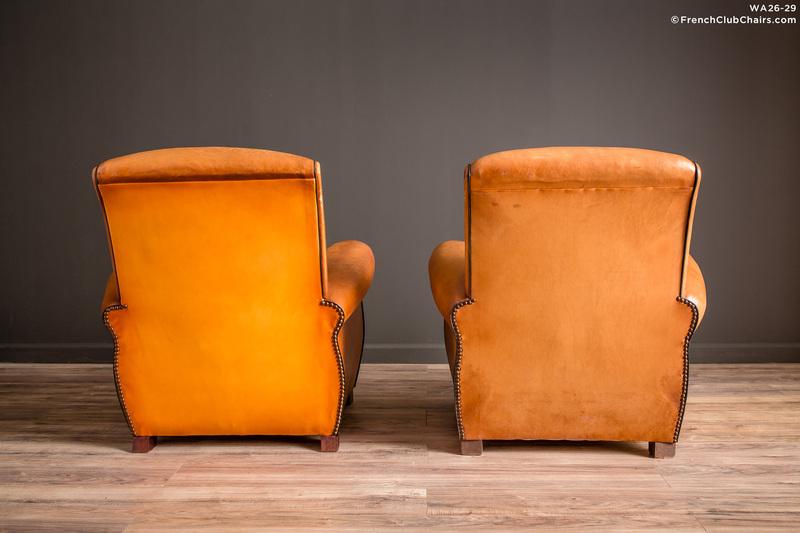 this is your pair of light caramel pair French Club chairs. This quintessential style fills it's own nitch in the club chair market, stylish but slim. They have elegant arms and a gently sloped back. This pair was built circa 1940s.